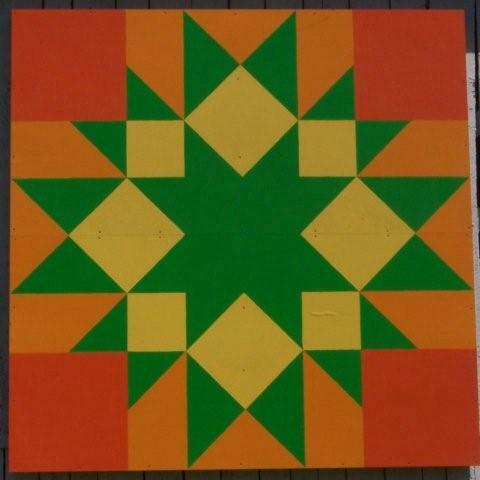 Note: The quilt square is patterned after a 4'x4'quilt square that had been previously painted by the FQT Painting team for a Rowan Countian who wanted to give it as a birthday gift to her son who now lives in Vermont. The team really liked the colors and pattern plus thought the name was appropriate for the hills around Morehead. 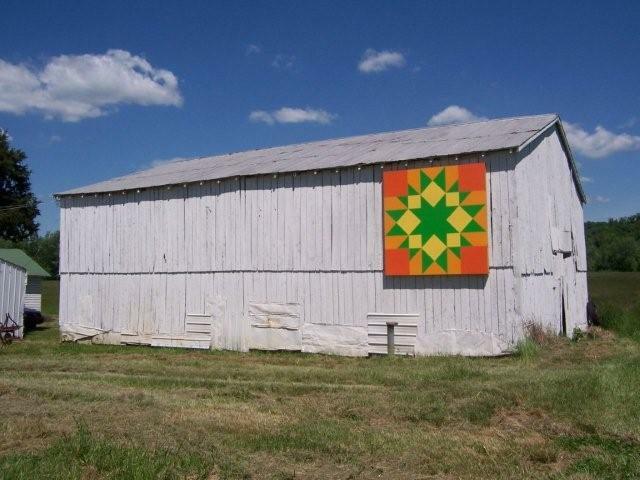 They decided to paint an 8'x8' quilt square and place it on a barn in the county.